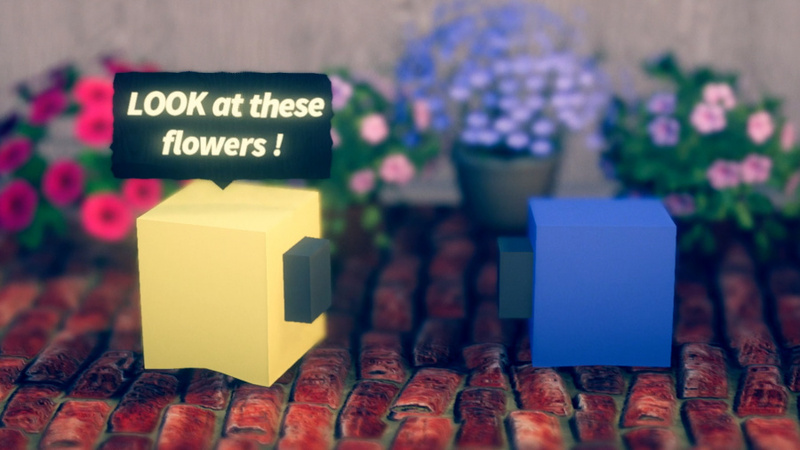 It used to be that describing a game's aesthetic as 'boxy' would be a negative. Zarvot developer Snowhydra, however, would likely see it as a boast. Zarvot's story mode stars two sentient cubes named Charcoal and Mustard, who set out on a journey to assemble a birthday present for their friend Red. It's a quest that's equal parts weird and mundane. Weird because of the game's charmingly off-kilter tone. That present, for example, incorporates a toy duck and a ball of mochi that gobbles up your friend - a friend who speaks in typos and caps lock exclamations. At another point, you'll need to fight a giant banana. Mundane because of the simple everyday scenes that are dotted throughout the game. You might engage in an encouraging chat with a depressed friend. A trip to a coffee shop, meanwhile, leads to a discussion with an irate caffeine addict. All for no particular reason and with minimal interactivity, we should add. 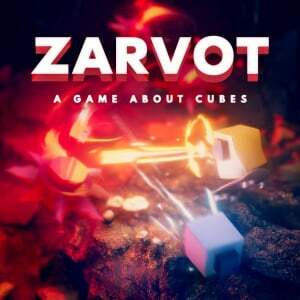 For most of its runtime, though, Zarvot is a fairly old-school isometric arcade arena blaster. You wander along tight corridors into simplistic blocky (there's that word again) arenas, which temporarily hem you in with force-field barriers. Here a variety of weird-shaped enemies will spawn into being, requiring you to blast them to smithereens before you'll be allowed to progress. At the heart of this is a surprisingly nuanced control system that places a number of destructive tools at your disposal. You have your usual 'pew pew' blaster mapped to Y, which fires in the direction you're facing. Your immediate instinct will be to nudge the right analogue stick to aim, but this isn't a twin-stick shooter. Hold down the fire button and you'll charge up a devastating, penetrating laser attack. You also have a dodge, a jump, a spinning melee move, and a surrounding laser-wall attack. The game largely leaves you to discover the finer points of this unorthodox control system for yourself, but each move comes into its own against a pleasingly varied (if thematically muddled) bunch of enemy units. 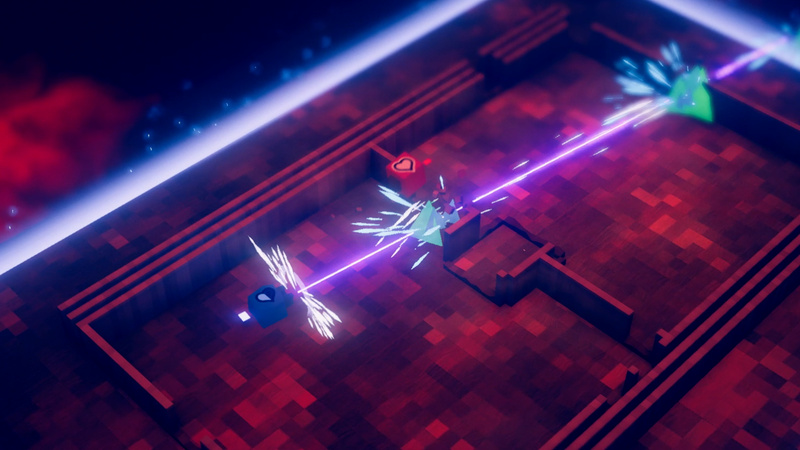 They also come into their own in the game's local multiplayer modes, where you'll find yourself pitched up against the ingenuity and unpredictability of up to three human opponents. Zarvot has ideas aplenty, then, but they don't always come together in a coherent way. It's a hodgepodge of influences, aesthetics and tonal shifts. On the one hand, that makes it feel quite fresh and distinctive. On the other, its scattershot approach can be faintly exhausting, and not all of its ideas hit home in terms of execution. For example, while the basic movement and jumping controls work well in combat, their limitations are rather exposed in an ill-advised precision platforming section. We can't help thinking that a little more focus would have resulted in a more cohesive and satisfying game - or even games. As it is, we suspect that many solo players will prefer the straight-ahead wave-based thrills of Arcade mode. It's perhaps a shame, then, that you have to unlock this level by level through the main Story mode. If you're after a fun, punchy arcade blaster with plenty of scope for local multiplayer hilarity, Zarvot is a solid pick. It's not quite at TowerFall's level of tightly machined competitive precision, or Super Bomberman R's timeless playability. But there's plenty of scope for improvisation and varying approaches, which bodes well for its longevity. For those after a meaty single player blaster with deceptive layers of depth, however, the Switch eShop is already formidably well stocked. Enter the Gungeon and The Binding of Isaac: Afterbirth+ spring immediately to mind as more satisfying alternatives. I saw that in the eshop the other day. It does look decent but not quite enough to get my cash. They were saying nice things about this on the Nintendo Voice Chat podcast last week. I'll probably pick it up on a sale. It's fantastic, this is probably the least favorable review I've seen. I think they made a huge mistake choosing boxes as the main characters. I love this game. Great music, great writing, fun gameplay, ability to adjust the frame rate in the options, and the most beautiful wood with moss on it I've seen in a game! Graphics are nice and clean, the sound is on point. Plays well and I found the electronic vibe charming. I would recommend. This game caught my attention back in the Nindie showcase. I'll try to get it at some point. 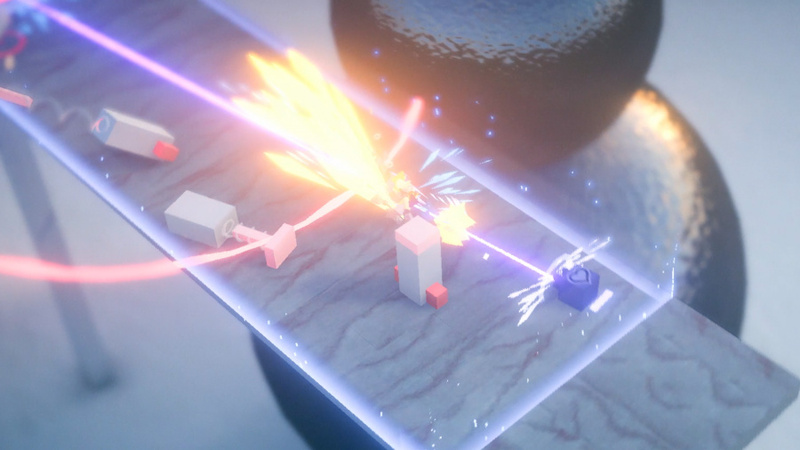 The game looked neat in the Nindie showcase. I'd like to try it sometime. I'm planning to eventually pick it up, see it more as a multiplayer game. 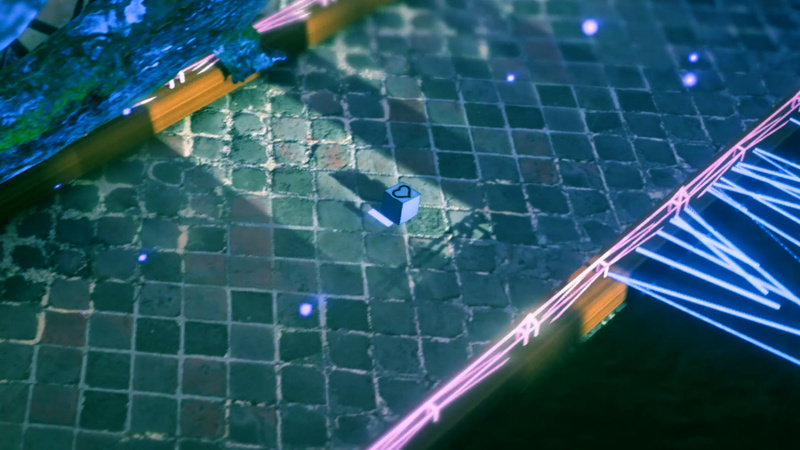 Why in the world would someone purposely make an isometric shooter these days?! That's just silly. It worked back when it was the only way to do a shooter with pseudo-3D graphics, but a 2.5D shooter with proper angles and real 3D graphics is superior in every way over an archaic mess like this, especially if you're going to include platforming segments! Precision platforming in isometric space is practically torture! Hmmm... I had high hopes for this game, what with my weird obsession with cube-shaped things. Still, it sounds like something in which I might be interested... hopefully there's a demo. Or a sale. Or both! @BulbasaurusRex Because isometric games can be fun, too? And because it doesn't look like any of the other billions of games rolling into the eShop every week? Remember that game Thomas Was Alone? A game starring just squares? No-one had seen anything like it before. Now there's a new game every month starring cubes, just on the Switch. @TheFongz When video games first was a thing, all games were squares. @GrailUK but then Fonzie came along and he freed the squares!